Custom Designed USA Eagle carrying the Purple Heart. 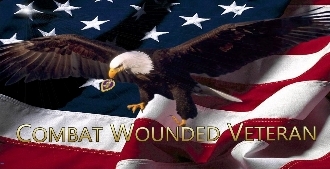 Honoring our Combat Wounded Veterans. FREE SHIPPING!